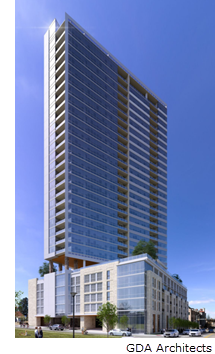 ​​FORT WORTH – The Downtown Design Review Board has approved an increase in the size of the high-rise condominium project, called The Worth, set for downtown and the Panther Island development. The Worth will be a 30-story luxury condo tower with 135 units. Click to check out DFW Housing Market Research.